Here's a confession, I'm in love with all shades blue. Was that really a confession? Also, whenever I'm at the Design Center I always, always go into the Quadrille/China Seas showroom and stare lovingly at their bright and bold patterns. 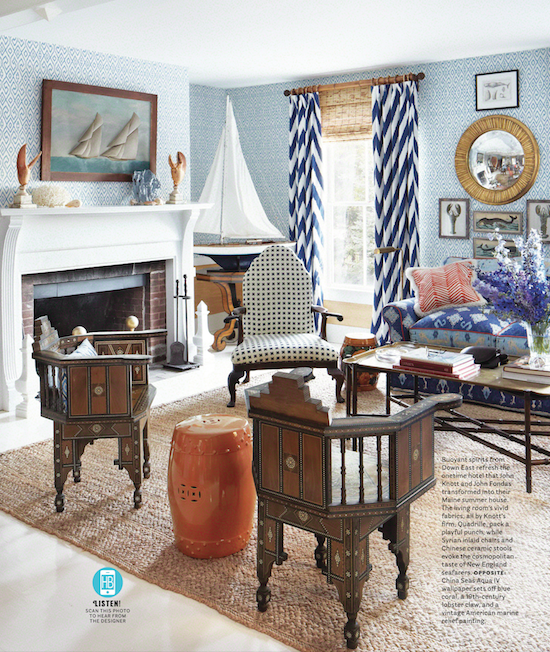 Keeping this in mind is it any wonder that I almost swooned when I read this feature on John Knott and John Fondas' Maine Home in April's House Beautiful. Knott happens to be the man behind Quadrille, to whom we should all kowtow. 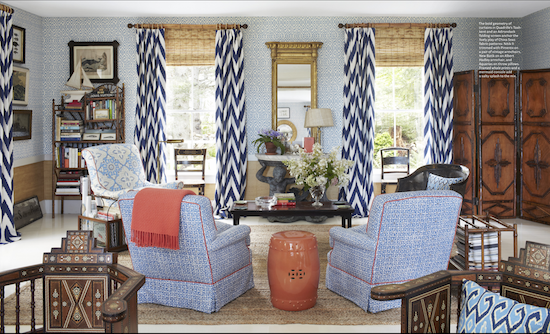 His living room is filled with their vibrant offerings in shades of blue and pops of coral. 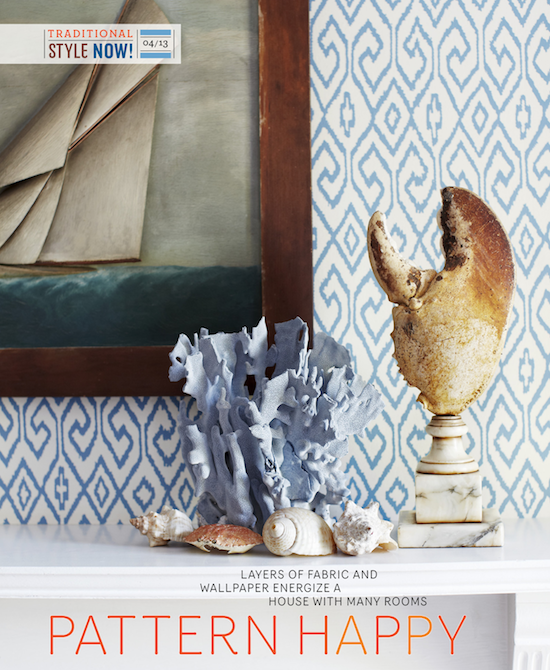 If you haven't already devoured your latest issue of House Beautiful you really should. 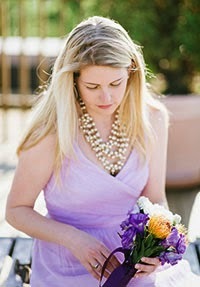 There are more inspiring images from this home and a treasure trove of other Traditional Style Now! features.